He is 32 years old and his birthday is on the 08 december.He is a very talented actor.And i প্রণয় him. Ian Somerhalder, তারকা of the CW's "The Vampire Diaries," has signed to topline the romantic গথ দেশীয় fairy tale "Cradlewood." Hand Picked Films and Instinct Entertainment are behind the indie being directed দ্বারা Harry Weinmann. Another day, another vampire. A বছর after the end of The Vampire Diaries, EW has confirmed that Ian Somerhalder is set to তারকা in a new vampire TV series for Netflix titled V-Wars. 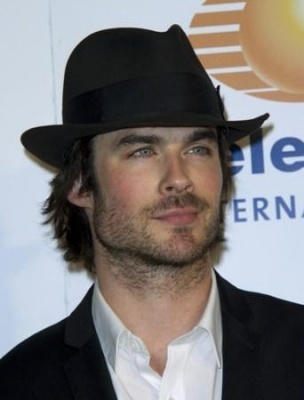 What was the first movie Ian was in, that he was credited for?